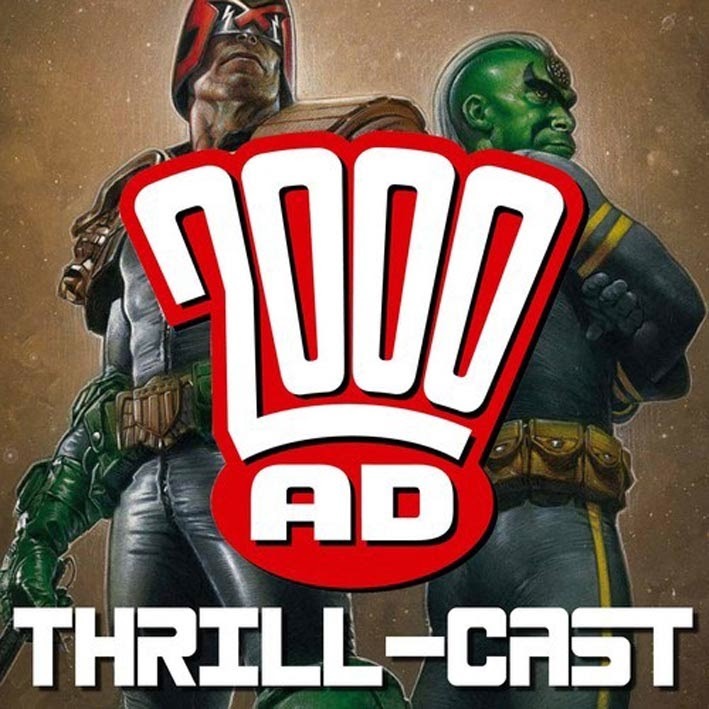 I don't think I've mentioned that there's a new 2000AD-related podcast now available. 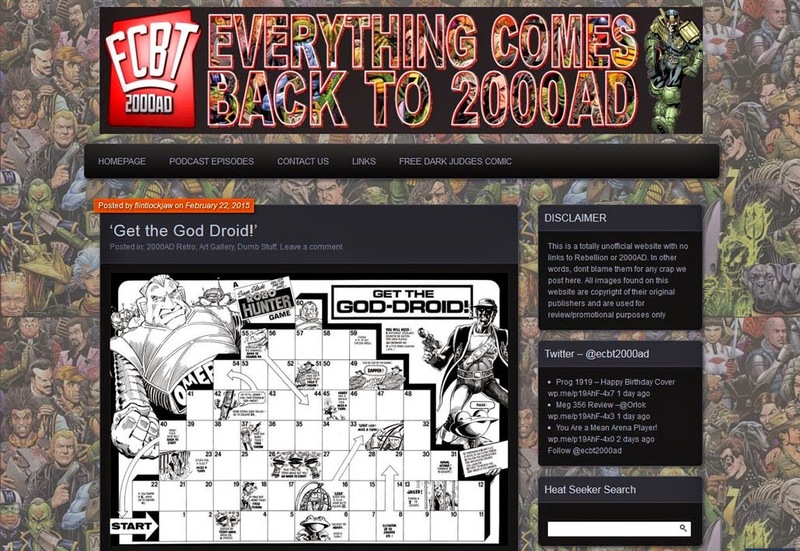 The new 2000AD Thrillcast has been running for a couple of weeks, hosted by 2K's PR droid Michael Molcher. The new show a based around the new Hachette series of Judge Dredd graphic novel reprints and has so far covered the America, Mechanismo and Apocalypse War storylines, with interviews with artists Colin McNeil and Carlos Ezquerra and editor Matt Smith amongst others. Looking back at these stories makes you realise just how rich the Judge Dredd universe has become in the past 30 years. It's well worth listening to Chris Sims of Comics Alliance talking about Dredd's world in the first half of the third episode. This has been running for six years now, originally hosted by Geek Syndicate, and I've dipped in an out over that time. In essence, a couple of fans chat about the latest issues of 2000AD. Some of the strips they like, some of them not so much. Rich McAuliffe, Flint and Pete Wells are the main hosts for this often funny, often sweary trip through the worlds of 2000AD and the Megazine, which earned its own podcast in 2010. Alex Fitch has hosted a regular show about comics for many years and often concentrates on British comics, especially the small press. 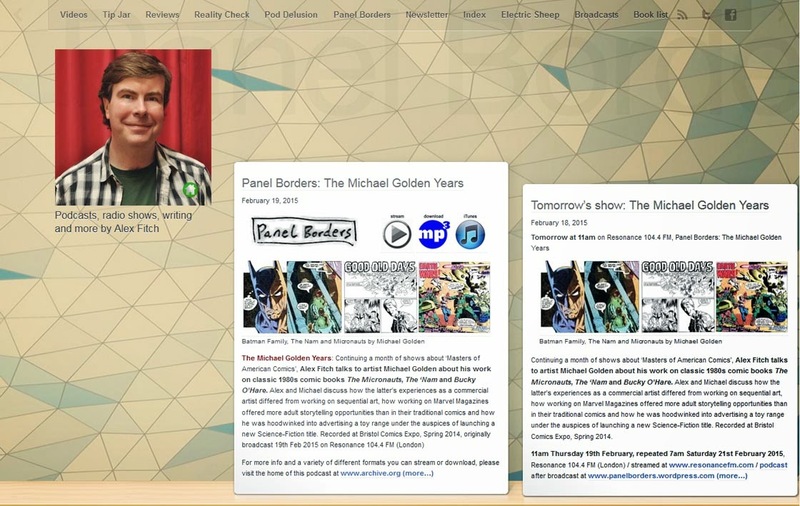 The shows are broadcast on Resonance 104.4 FM and posted for download at the Panel Borders website.